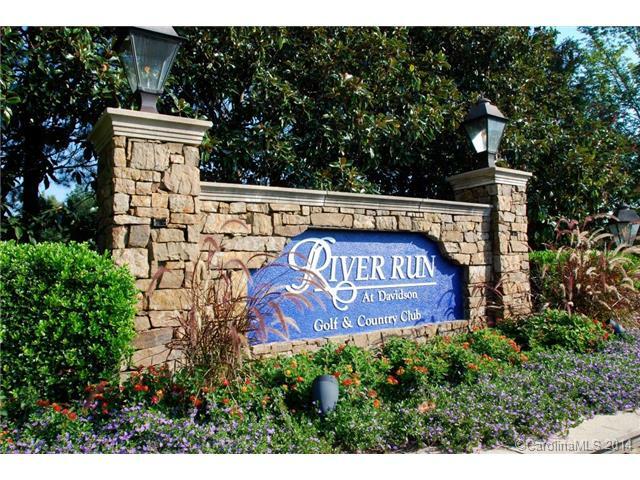 Come and live at River Run and experience a very warm sense of community and quaint small-town setting and feeling. Exquisite custom homes offer spectacular living in a friendly, welcoming atmosphere. With a beautiful country club right in the neighborhood and so many recreational opportunities nearby, fun and entertainment are just footsteps away. Living is easy and the fun is just around the corner as a River Run resident. Test your skills on the back nine of our challenging and highly rated golf course, or enjoy tennis at the modern, 16-court indoor/outdoor complex. Walking trails invite leisurely strolls and biking, while the pristine waters of nearby Lake Norman beckon water sports enthusiasts and serenity-seekers alike. For those looking for a more fast-paced tempo, nearby Charlotte offers professional sports, first-class shopping and a multitude of cultural pursuits.